Over the past few years, a football competition called the Clericus Cup, the tenth edition of which is currently under way, has gained the attention of football fans and media alike, if only because it involves priests from a number of seminaries in and around Rome. Because of the media attention the competition receives, many people erroneously consider the Clericus Cup to be the Vatican City's league championship. 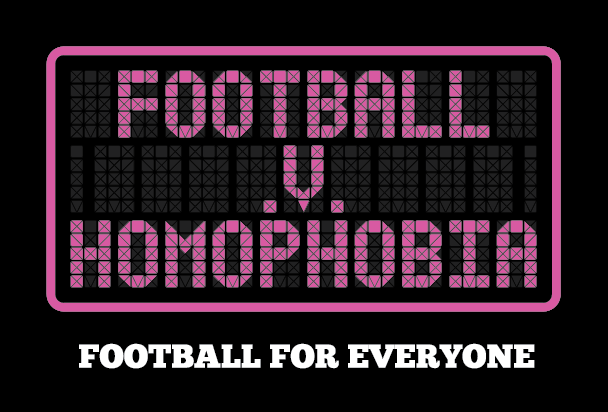 Fewer people, however, realise that football has been played competitively amongst the staff of the various departments within the Vatican for over 40 years, and that the tiny country has long had its own functioning league and cup competitions. Perhaps the first recorded mention of any type of football being played in and around the Vatican dates from 1738, when a team named Belvedere played a match against Rospigliosi; the former had its own playing field at the Vatican. During the First World War, the Knights of St. Columbus, an American organisation became renowned for their work in providing services for Allied troops of all creeds and colours under the motto "Everyone Welcome, Everything Free." This had not gone unnoticed by Pope Benedict, who, when meeting a delegation from the organisation in August 1920, invited them to build recreational facilities for the youth of Rome. Pope Benedict XV was committed to improving working conditions for those employed inside the Vatican during his comparatively short reign, which lasted from 1914 until his death in January 1922, and obviously took into consideration not just the spiritual well-being of those serving under him, but also their physical well-being. With the encouragement of Pope Benedict XV's successor, Pope Pius XI, work was carried out by the Knights on a total five recreational grounds between 1922 and 1927, the first of which, the Oratory of St. Peter, was opened in 1923. The grounds now bear Pope Pius XI's name, and are situated on the Via Santa Maria Mediatrice, just a few hundred metres from the walls of the Vatican. 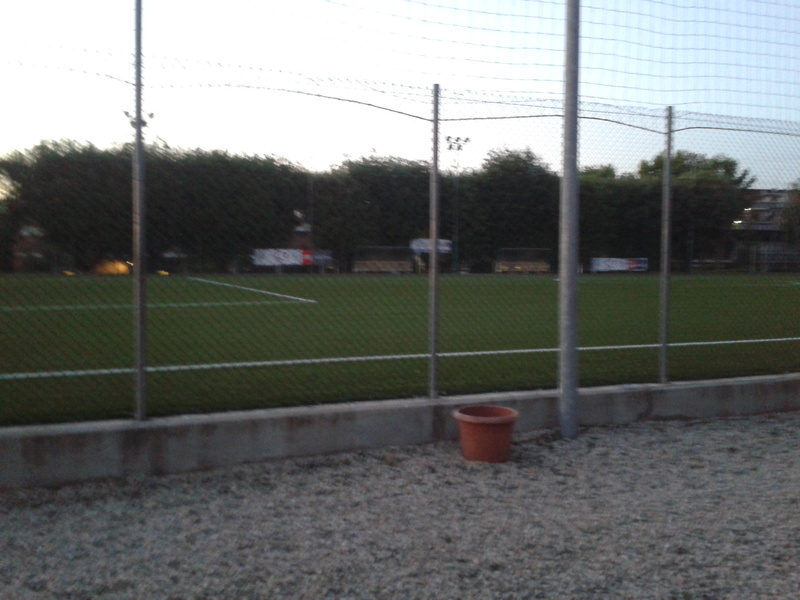 One of the pitches in the complex, the Campo Cardinal F Spellman, hosts the Vatican City's international fixtures. The first match played between two teams of Vatican employees took place in 1947, when the Fabbrica di San Pietro took on a team representing the Department of Pontifical Villas (Ville Pontificie). Organised football in the Vatican dates from the mid-1960s, when the football lovers amongst the staff of the Musei Vaticani (Vatican Museum) founded SS Hermes. From Hermes' inception in 1966 until 1970, when a small-scale tournament called the Hermes Tournament was created, the club played only the occasional friendly. The Hermes tournament ran from 1970 until 1973, when a group of Vatican employees decided upon creating a proper league. Among those involved in creating the league, and what became the Attività Calcistica Dipendienti Vaticani (ACDV - the Vatican Employees' Football Activities, to use a very loose translation - the Vatican FA) were Enrico Ottaviani, Bruno Luti, Giancarlo Taraglio, Renato Aubert, Maurizio Matruzzi, and the man who was later to become the league's president, Dr. Sergio Valci. Dr. Valci was to remain president until his death on 30 October 2012, when Taraglio took over the position. The first league championship, known as the Coppa Amicizia (Friendship Cup), commenced on 2 April 1973, and involved 7 teams, each representing various facets of the Vatican government. The teams were as follows: Governatorato (Vatican government/civil service), Hermes/Musei Vaticani, Osservatore Romano, Radio Vaticani, Sampietrini (those working in St. Peter's Basilica), Tipografia (the printing works) and Vigilanza (guards, not to be confused with the Swiss Guards). Osservatore Romano won the inaugural championship. The Governatorato side, which later became known as Fortitudo, won the league championship in 1974, though it was another five years before the Coppa Amicizia was played for again; Osservatore Romano, the team representing the Vatican state newspaper of the same name, and which later changed its name to Astor, won it in 1979. 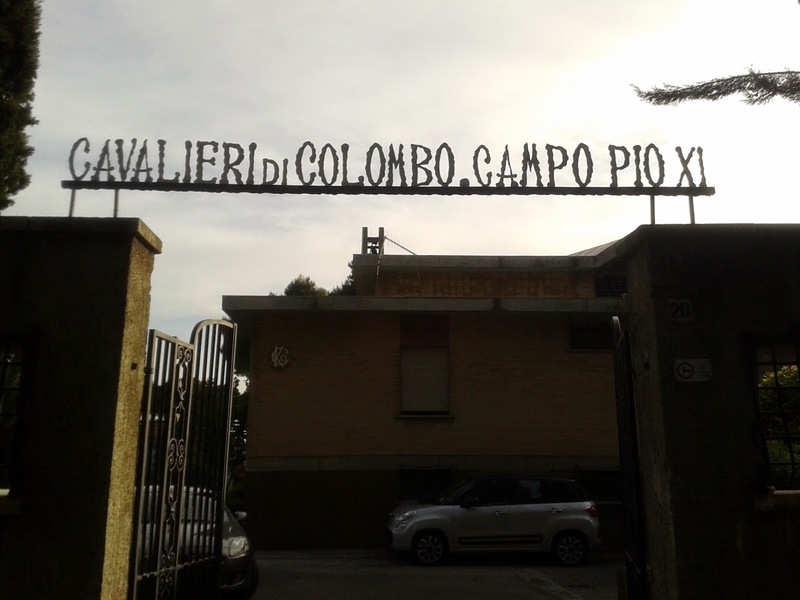 The Coppa Amicizia evolved into the Campionato Calcio Vaticano, the first edition of which was won by Malepeggio Edilizia in 1981. Many of the teams taking part in the Vatican league championship down the years have indulged in name changes, including Osservatore Romano, who won the league again in 1982 as Astor and again in 1987 after what seems to have been a merger with Tipografia (the team was listed as Tipografia/Osservatore Romano in the league's honours-list), Governatorato, Poste, which later became Telepost, and APSA, which became Ariete. The history of football in the Vatican is littered with name changes, teams which had a short shelf-life and others which disappeared, only to be re-formed some years later. Not only that, but several teams which take part in the league competition did not take part in the Coppa Vaticana and vice-versa; it is a phenomenon that continues up to the present day. The Vatican's footballing trendsetters, Hermes/Musei Vaticani, won the Campionato for the first time and only time in 1983. They have had a little more success in the Coppa Vaticana, the Vatican's cup competition, which was established in 1985, although Telepost won the inaugural edition. Hermes/Musei Vaticani won the competition for the first time in 1986, and have won it twice more, in 2008 and 2009, under the name Hermes SS. There had been no Vatican league championship since 1995, when Dirseco lifted it for the fourth year in a row, nor had the Coppa Vaticana been played for since that same year, when Telepost won it for the fourth time in total, stopping Dirseco from winning that competition for the fourth year in a row. However, in 2006, the board members of the ACDV decided to resurrect football in the Vatican by not just re-establishing the Campionato and the Coppa Vaticana, but also put in place the Super Coppa Vaticana, to be played for by the winners of the Campionato Calcio Vaticano and the Coppa Vaticana. The first final took place on 21 May 2007 between Cirioni AS, winners of the Campionato, and Pantheon SD, winners of the Coppa Vaticano, with Pantheon SD winning the Super Coppa. In comparison to the internal Vatican league and cup competitions, which involve employees - the vast majority of whom are Italian - of the various Vatican departments, the Clericus Cup, which, again, is not run by the ACDV, is a more recent phenomenon; it is a descendant of a competition called the Rome Cup, which began in 2003 with eight teams, all representing different seminaries in and around Rome. The first edition of the Clericus Cup took place in 2007, and now involves priests-in-training from around 100 countries, all of whom are based at the seminaries participating in the competition. The Clericus Cup is run by the Centro Sportivo Italiano (CSI), or the Italian Sports Centre, which itself was founded in 1944 by an organisation called the Gioventù Italiana di Azzione Cattolicà (GIAC), or the Italian Youth of Catholic Action. The CSI is primarily a Christian organisation, but, as it states on its own website, it is an organisation which is open "to those who are committed to sport in the service of man." One of those involved in the setting-up of the Clericus Cup - which itself was the brainchild of the then CSI president Edio Costantini - in its current format, Cardinal Tarcisio Bertone, jokingly told a news conference in 2006 that he dreamed of a day when a Vatican side would compete with the cream of Serie A and play in international competition. Cardinal Bertone's words went viral in minutes, but those journalists taking notes were over 20 years behind the times when it came to the Vatican being involved in international football, or, at least, taking on representative football teams from other countries. 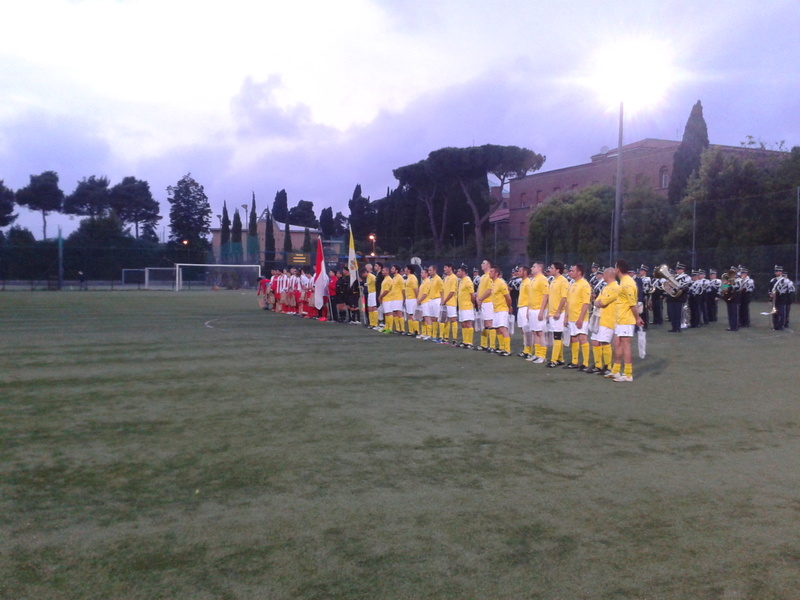 The Vatican City's representative (national) side have been playing friendly matches since 1985, when they defeated the Austrian Sports Journalists team by 3 goals to 0 in Rome on 31 October of that year. The Vatican team have played most of their matches against a varied line-up of opponents over the years, from teams representing television stations such as RAI (Italy) and Télé Monte Carlo (Monaco) to the Italian restaurateurs' representative side through to non-league football clubs from Italy and Switzerland. 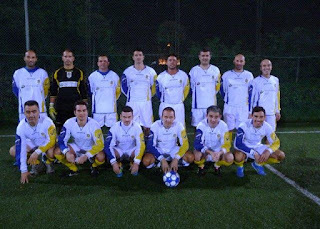 The team have regularly taken part in charity matches, and a number of Vatican clubs have followed suit from time to time. The national side's first-ever match against another international team took place on 23 November 2002, when they drew 0:0 against Monaco. Five months later, they drew 0:0 with a team representing San Marino on 27 April 2003, though their opponents were not the full national eleven. Since their first game against Monaco, they have played the Monégasques three times, losing all three matches, the most recent defeat - by 2 goals to 0 - coming at the Campo Cardinal F Spellman on 10 May 2014. 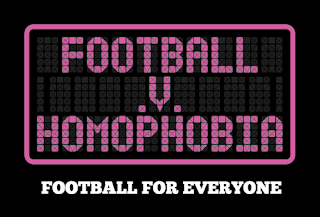 There has occasionally been speculation regarding the Vatican City's participation in non-FIFA international tournaments such as the NF-Board's VIVA World Cup or the new ConIFA World Cup, which is due to take place in Sweden in June 2016; occasionally, the question has been raised as to whether the ACDV go so far as to apply for UEFA membership. Although no official statement has ever been forthcoming from the Vatican's football authorities regarding the national team's participation in either of the aforementioned tournaments, unofficially it would appear that the Vatican's strictly neutral stance would prevent its representative football teams from playing teams from, for example, "breakaway republics" such as Abkhazia, Republika Srbska, or Northern Cyprus (TRNC), or, indeed, teams from Crimea, as this would be seen to give legitimacy to those in power in these regions. In a short interview after the Monaco match in 2014 with the then newly-installed ACDV chairman Danilo Zennaro, the subject of joining UEFA, the NF-Board or ConIFA was broached, and Zennaro had this to say on the subject, and also on fielding a national team in order to play abroad: "We have a big problem, because our players are Italian citizens; it is impossible for us to [consider] this type of suggestion because all the players are employed in the Vatican but are Italian citizens. The Vatican passports are only for the diplomatic corps. "I spoke to the others [Vatican FA board members] some months ago, but we do not have an idea [regarding] this situation. For us, it is difficult for us to organise a real team to go to play outside; first, the job; second, family. We enjoy playing in our championship, but we do not have the time to go abroad. "I think first, step by step. Our championship began 43 years ago, and it is very hard to organise it every year, because there are not many players. It is okay to play this type of match [international fixtures], but it is also difficult to compete with other international teams, because the age of our players is [above that of other teams]." Most of those representing the Vatican City in international matches hold Italian nationality, and this would scupper any attempt to join UEFA and/or FIFA; only around 200 Vatican passports are in use at any one time, and are exclusively reserved for the country's diplomatic corps. Once a particular individual finishes their term in the Vatican diplomatic corps, they are required to return their passport to the Vatican authorities and revert to their original nationality. So, for now, the Vatican City international side must make do with occasional friendlies against teams representing various Italian organisations, and the odd game against Monaco. Domestically, Musei Vaticani were the dominant team last season, with the seemingly disbanded Dirseco and San Pietro sharing the previous five league championships between them. 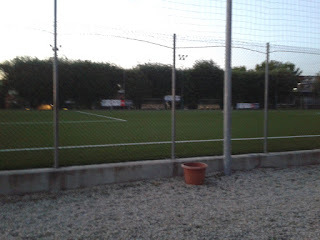 League and cup games, which are 60 minutes in length, are currently played at the Associazione Sportivo La Salle complex in the west of Rome, which caters perfectly for the current needs of the ACDV as it has two 8-a-side pitches available for use. Until fairly recently, when the number of players and teams dipped, the Vatican league and cup competions both had 11-a-side matches, which were regularly played at the Stadio Spellman. The Vatican team were due to play Monaco in a friendly in the French town of Beausoleil in May, but those plans have been scrapped. (There is a possibility that Monaco will travel to Liechtenstein to play a friendly there at the beginning of June instead.) Those hoping that the ACDV will join any football organisation are likely to be disappointed that this will not be happening any time soon. On the other hand, the national team will continue to play friendlies, albeit on an intermittent basis - which is understandable, given the other commitments of players and technical staff - and the league and cup competitions (plus the Supercoppa) will still continue for the foreseeable future, even though, rightly or wrongly, the Clericus Cup puts them in the shade. It has been an occasionally difficult journey for Vatican football, but it has evolved and progressed significantly since the mid-1960s, and this is testament to the hard work put in by a good many people, not least Valci, Taraglio and Zennaro. AUTHOR'S NOTE: Thanks to all the the ACDV for their assistance in recent years, and to Giancarlo Taraglio and Danilo Zennaro; much of the above information, particularly concerning the Clericus Cup, is widely available on the internet. For statistics, kindly visit articles published earlier on this blog or go to the RSSSF website. Other information was drawn from "Io Sport In Vaticano" (2011, R & S Calvignoni, Libreria Edifice Vaticano), and a interview with Sergio Valci in L'Osservatore Romano in 2009. Social media has been in uproar since last week's penalty-pass routine carried out by Barcelona duo Lionel Messi and Luis Suarez during their 6:1 demolition of Celta Vigo, when Messi prodded his penalty a yard forward and two yards to the right in the direction of the onrushing Suarez, who smashed the ball past the Celta Vigo goalkeeper. An audacious move, indeed, and one that paid off handsomely (though some commentators felt that the spot-kick antics of the Barça pair were a slight on the opposing goalkeeper). It also had reporters, bloggers et all scrambling for footage on YouTube showing a similar incident which might have pre-dated the Messi and Suarez spot-kick double-act. And, lo and behold, footage was to be found of Johan Cruyff and Jesper Olsen's penalty-one-two against Helmond Sport on 5 December 1982; many assume that this is the father of all penalty-pass moves. But, no! That particular honour most probably belongs to Northern Irish pair Jackie Blanchflower and Jimmy McIlroy, who scored one against Portugal at Belfast's Windsor Park on May Day, 1957, during a 3:0 win for the hosts. Unfortunately, Blanchflower's goal was ruled out by the referee who ruled that he had encroached into the penalty-area before the whistle had blown for McIlroy to take the penalty. It would have been the end of a perfect day for manager Peter Doherty's team, who were leading 2:0 at the time in full of a full house at Windsor. Unpeturbed, McIlroy stepped up, re-took the penalty and put it to the Portuguese 'keeper's right and into the bottom corner for Northern Ireland's third. The following January, Northern Ireland defeated Italy by 2 goals to 1 to qualify for the World Cup Finals for the very first time. Sadly, Jackie Blanchflower, a Manchester United player, would not make to the World Cup Finals in Sweden; he was seriously injured in the Munich Disaster just a month after the victory against Italy. He was read his last rites in the days after the disaster, and was hospitalised for two months. After unsucessfully attempting to make a comeback, he eventually had to retire, aged just 24, having won two League Championship medals and 12 caps for his country. He died from cancer in 1998, aged 65. At the time of the match against Portugal, Jimmy McIlroy was playing for Burnley, then playing in the old First Division, who he had joined from Glentoran (where he had been a huge success in his one and only season for the club) in 1950. After being in the team that defeated Italy, he went on to play at the World Cup Finals - alongside Blanchflower's club colleague Harry Gregg, who not only survived the Munich Disaster, but pulled other passengers out of the wreckage - where he started all of Northern Ireland's matches at the tournament, when they were eliminated by France at the quarter-final stage. He won a League Championship medal with Burnley before moving to Stoke, and retired as a player in 1967 after two seasons with Oldham Athletic. He won 55 caps in all for Northern Ireland. Belgian pair Rik Coppens and André Piters are believed to be the first to have successfully pulled off the penalty-one-two - in the televisual era, at least - when Coppens scored against Iceland in a World Cup qualifier on 6 June 1957 at the Heysel Stadium in Brussels. With 43 minutes gone, Belgium were already 6:1 ahead, Coppens having scored the sixth just a minute earlier. Coppens took the penalty, prodding the ball sideways, which was collected by Piters, who prodded the ball back towards Coppens and past goalkeeper Björgvin Hermannsson, which left Coppens to tap the ball into an empty net from four yards while a somewhat bemused Hermannsson could only remain prostrate and watch. Belgium went on the win the match by 8 goals to 3. Years later, in an interview included in archive material shown on an episode of De Grootste Belg, a documentary series on the top 100 or so Belgians of all time which was shown on Belgian television in 2005 (Coppens came 73rd on the VRT/Canvas list), Coppens said that neither he nor Piters had planned the move; it just happened when Coppens was about to take the penalty. Coppens stepped up to take the kick, saw "Popeye" Piters out of the corner of his eye, turned to him and said: "One-two, then..and the lad knew exactly what I meant..It was a..a reflex, and don't ask me why it happened. I don't know." Coppens spent the vast majority of his career with Beerschot; although he attracted interest from clubs such as Barcelona and Inter Milan, the club simply refused to release him. He was known not only for his goalscoring prowess, but also for his flamboyant style on the pitch and his rows with managers off it. He scored over 260 goals in 360 league games for Beerschot, Olympic de Charleroi, Crossing Molenbeek, Berchem Sport and Turbantia Borgerhout, where he hung up his boots in 1970. He later managed a number of clubs, beginning with Turbantia, before retiring in 1984. Coppens played 47 times for Belgium, scoring 21 goals. He died on 5 February 2015 after a long illness, aged 84. Piters, on the other hand, was a less flamboyant figure, but was still well-respected within the game in Belgium and the Netherlands. He began his career as a youngster with Hervé FC before going on to wear the red and white of Standard Liège, where he gained not only a reputation as an excellent dribbler, but also the moniker "Popeye." He won two league championships with Standard before moving to Olympic de Charleroi. He spent two years there before moving to Dutch side Fortuna '54, where he won the KNVB Beker in 1964 and retired in 1967. Piters played only 23 times for Belgium, and scored 7 goals. He died on 24 October 2014, aged 83, just twelve days after losing his wife, Ivette. There were probably others who had attempted the penalty-pass long before Blanchflower and McIlroy or Coppens and Piters, but their attempts have been lost in the mists of time. Television was still in its infancy throughout much of Europe, and footage of football matches played abroad would have been at a premium. In all probablility, neither Coppens nor Piters were aware of Blanchflower and McIlroy's unsuccessful attempt to bamboozle both goalkeeper and referee, but they were two audacious, clever, pieces of play. Yes, you can splash posts all over the internet eulogising Messi and Suarez's cleverness and claim that Cruyff and Olsen's one-two set a trend, but remember that Blanchflower and McIlroy or Coppens and Piters were there first..and that it's all there in black-and-white. AUTHOR'S NOTE: Much of the information above was taken from Wikipedia and a host of websites including those of FIFA, the New York Times, RTBF, Canvas, Sporza, Nieuwsblad, La Meuse, BBC and the42.ie. Kindly note that, should you wish to view the two pieces of film mentioned at the end of the article, you may be required do things the old-school way and copy and paste the links to the browser bar. Football as we would recognise it today has been played in Malta since the 1870s, when it was played by British soldiers stationed on the island, although a game under the "old" Cambridge rules was played at a location called The Ditch next to the Porte des Bombes in Floriana on Christmas Eve 1863. In 1877, the Jesuit-run St. Ignatius College in St. Julian's was founded and a school team under the tutelage of John Thomas Walford was created soon after. The sport caught on quickly among the locals, and the first recorded match on the island took place in 1886 at Zabbar Ground, near to the Zabbar, or Notre Dame, Gate at the edge of Cottonera (now known as Vittoriosa). A local side, Cospicua St. Andrew's drew 2:2 with a team from the Shropshire Regiment. St. George's were founded in 1890 and are the oldest-surviving team in the country. The Malta Football Association was founded in 1900, though the first edition of what became known as the National League was played for in 1909-10 and was won by Floriana. Two years later, in January 1912, the Mile End Ground was opened in the town of Hamrun and he first match to be played at the new ground, which had previously been the site of an RAF balloon station, was between the KOMR (King's Own Malta Regiment) and the Northamptonshire Regiment on 12/1/12, and ended in a 1:1 draw. The KOMR were to go on to win the 1918-19 league championship and remain the only military team to have won the competition. The Mile End Ground was the venue of choice of the MFA until November 1922, when the Empire Sports Ground was opened in Gzira on the Rue D'Argens. The MFA continued to use the Mile End Ground for lower-division fixtures for a number of years before it crumbled away. The ground appears on maps of the area dating from 1945, and was apparently situated just down the road from the present-day Victor Tedesco Stadium, which was itself inaugurated in 1996. The owners of the plot of ground at the time of the construction of the Empire Sports Ground were the Testaferrata family, a local family of noble stock, and it was Baron Testaferrata Moroni Viani who leased it to his brother-in-law, Carmelo (Meme) Scicluna. The first match to be played at the Empire Sports Ground, which had previously been the site of an RAF balloon station, was on 4/11/22 between a MFA XI and a team drawn from HMS Ajax (which was part of the Royal Navy's Mediterranean Fleet at the time), and a 2:2 draw ensued. Like the old Mile End Ground, the new ground was to see many an important game played there, but it had more in the way of facilities than its predecessor. It possessed a grandstand, four dressing-rooms, a first-aid station and an eight-foot wall around the perimeter of the pitch which was used to deter any pitch-invasions, which were commonplace in Maltese football at the time. By the beginning of the 1930s, however, the Empire Sports Ground was beginning to look more than a litle frayed around the edges and was in need of renovation. Scicluna had signed a contract with a British company to hold greyhound racing at the ground, and the whole complex was pretty much razed to the ground and rebuilt during the course of 1933. The Empire Stadium, as it was now known, was inaugurated on Christmas Eve 1933 with the opening match of a Christmas tournament between a MFA XI and SK Viktoria Plzen of Czechoslovakia, which the Czechs won by 5 goals to 1. A good crowd had turned up; although the score had gone against the Maltese side, Scicluna was still happy enough. A stadium had to be paid for and maintained, after all. But, Scicluna had no need to be worried; football was still far and away the most popular sport in the Maltese archipelago, and more well-attended Christmas tournaments featuring a host of foreign clubs of the calibre of Rapid Wien, Admira Wacker and Ferencvaros would follow. Matches between Maltese teams and British armed forces sides were still popular,and an estimated 16000 crammed into the Empire Stadium in February 1934 to watch Hibernians take on HMS Royal Sovereign in the semi-final of the Cassar Cup, the premier cup competition in Malta at the time. A year later, the Old Firm of Sliema Wanderers and Floriana attracted 15000 to the final of the same competition, with the Blues winning 1:0 to lift the cup for the second year in a row. The same two teams would meet in the final of the inaugural FA Trophy final later that year, with Sliema again coming out on top, this time by 4 goals to 0. After the Second World War had put a stop to just about all footballing activity in the islands, the Maltese took to football again with abandon, and foreign teams returned to the country. Activity in the Maltese football league resumed in 1944, with Valletta taking the 1944-45 and 1945-46 championships. Hadjuk Split, who were the first-ever continental team to visit the country, did so again in late March 1945, and Chelsea visited to play three games in 1949. Still, matches featuring the Old Firm, not to mention Valletta - who were a constant thorn in the side of the traditional big two and who, along with Birkirkara, have eclipsed both sides during the first fifteen years of the 21st century - and later Hibernians, continued to draw in the crowds. Teams from British armed forces team still played local teams on occasion, and one such encounter, between Sliema Wanderers and an Army/RAF Combined Services team on 6/3/51, was an occasion to remember, not so much for what happened on the pitch but what happened off it. It was the first football match in Malta to be played under floodlights, and the Combined Services team won 2:1. The response was positive, though the lamps used barely illuminated the centre of the pitch. The floodlights were used from time to time, but, popular as they were, they fell into disrepair and the experiment was quietly shelved. Perhaps the stadium's finest moment - or perhaps the most emotional for those who were there that day - came on 24/2/57, when the Maltese finally played their first-ever full international match, a friendly against Austria, before a crowd of 17421 paying spectators. The visitors raced into a 3:0 with 25 minutes remaining before Floriana striker Tony Cauchi scored Malta's first-ever goal in a FIFA-recognised international fixture with three minutes remaining. Not long after, Sammy Nicholl netted Malta's second and the Austrians were suddenly on the ropes. A final push by the Maltese was in vain, however, with Austria hanging on to win 3:2. It was still a creditable result for a Malta team making its international bow under manager Joe H Griffiths. Malta took on Denmark in January 1958 and won their second-ever full international by 3 goals to 0..or did they? The match was claimed as a full international by the MFA, but the DBU later insisted that they had sent a combination side drawn from a couple of First Division clubs and not their full national squad. As the match was played without the nod from FIFA, it was not considered as a full international but it was still a good test for the Malta team, which it had passed admirably. The Maltese entered international competition for the first time in November 1959, when they were drawn against Tunisia and Morocco at the Empire Stadium during the qualifying rounds of the 1960 Olympic Games. Two games in the space of a week at the Empire Stadium attracted thousands of local supporters, who, unfortunately for them, witnessed only a scoreless draw and a 2:2 tie against their respective opponents. The return fixtures saw Malta lose 2:0 in Tunis and 2:1 in Casablanca. Malta did get their maiden international victory against Tunisia in December 1960, when Floriana's Lolly Borg scored the only goal of what was, by all accounts, a rather dour match at the Empire Stadium which ended with the home team receiving a somewhat subdued cheer from the crowd. It would be another six years before Malta would win another match, and under a dark cloud, at that. The early 1960s saw Maltese teams, both club sides and national sides, enter European competitions for the very first time. Hibernians lost 7:1 on aggregate to Servette Geneva, but had the consolation of Leli Sultana making history at the Empire Stadium by scoring the first-ever goal by any Maltese team, club or national, in a mainstream European tournament. Malta's national team took part in the qualifying rounds for the 1964 European Championships, but lost 6:1 in Denmark and 3:1 in Gzira. Meanwhile, the MFA XI, or Pick Malta as they were more popularly known, were still playing friendlies against teams such as Manchester United and Chelsea in the early 1960s, but after the full national team's elimination from the 1964 European Championship qualifying round in December 1962, they did not play another international until February 1966. 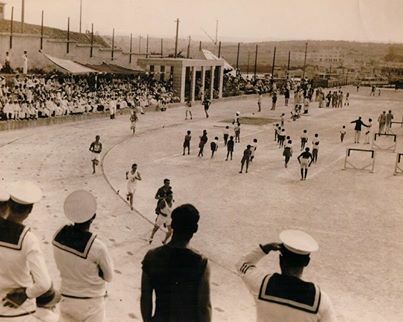 The opponents were Libya, whose national team (not to mention football in general) was very much in its infancy, and the game did not take place at the Empire Stadium, but at the Manoel Island Ground just down the road. There had been a dispute between the MFA and the Empire Stadium management over how gate-money would be divided during the 1965-66 season; this had been an almost annual occurrence, but the clubs and, by extension, the MFA, eventually lost patience this time round and football moved lock, stock and barrel to Manoel Island. The stand-off lasted for much of the 1965-66 season; during this time, the MFA played one international match on Manoel Island, and it was that match against Libya, which was played on 13/2/66, and Malta won the match by a goal to nil courtesy of a goal by Edward Aquilina. Football returned to the Empire Stadium in time for the kick-off of the 1966-67 season, which saw Hibernians win the First Division title for the second time in their history, and what a reward they received: they were drawn against Manchester United in the first round of the 1967-68 European Cup. (Note to younger readers: Manchester United existed as a club long before 1992.) United beat the team from Paola comfortably enough in the first leg at Old Trafford, where they ran out 4:0 winners. A record crowd of 23000 filled the Empire Stadium for the second leg on 27/9/67, which ended in a scoreless draw, much to the chagrin of the large contingent of local United fans who were at the match, and to the joy of the Hibs fans, who had seen their team match their more illustrious opponents stride for stride. United, of course, would go on to win the competition. Three years later, the Empire Stadium was witness to another famous night involving Hibs as they drew 0:0 against Real Madrid in their first round, first-leg fixture in the 1970-71 Cup Winners' Cup before losing 4:0 in the second leg at the Estadio Santiago Bernabeu. In between times, Sliema Wanderers were the first Maltese club to reach the second round of a European competition when they defeated Luxembourg side US Rumelange 1:0 in front of 14000 in the first round of the 1968-69 European Cup-Winners' Cup. Hibernians did the same three years later when they defeated Fram Reykjavík in the first round of the same competition; both Sliema and Hibernians fell at the second hurdle in their respective campaigns. By the beginning of the 1970s, ownership of the stadium had fully returned to the Testaferrata family, the lease having long since been given up by the Sciclunas. On the international front, Malta drew 0:0 at home to Greece in their opening match in the 1972 European Championship qualifiers in late 1970, and then faced England at the Empire Stadium early February 1971. Needless to say, this was an emotional occasion for Malta as a whole, not just those Maltese who followed football; Malta had gained independence from the UK only in September 1964 and the links between both countries were still as strong as steel, despite the ridicule which flowed from all sides of the British press. Malta were already reckoned to be one of European football's minnows and were usually on the receiving end of a defeat, but the Empire Stadium's surface and the athmosphere generated by home crowds often left visiting teams feeling uncomfortable and were what would nowadays most likely be described as Malta's twelfth and thirteenth men. Sweden, who escaped with a 2:1 victory in late 1973 (Malta's Sliema Wanderers' Toninu Camilieri giving the hosts the lead), and then the recently-crowned world champions West Germany, who won their game in Gzira by a goal to nil just before Christmas 1974, were witness to this. The Empire Stadium was witness to another historic moment on 22/2/75, and it was one that Maltese football had waited almost eighteen long years for. The "Reds" had never won a competitive fixture in either the European Championship or World Cup qualifying, but, as the old saying goes, everything comes to those who wait. Malta defeated Greece in European Championship qualifying action that day by two goals to nil, the goals coming from Richard Aquilina of Sliema Wanderers and Valletta's Vincent (Maxi) Magro. Sadly, the rest of the decade was to bring mostly misery for Maltese football, at least as far as the full national team was concerned; apart from a scoreless draw against Tunisia in 1977 and a 1:0 victory against the same country's B-team a year later, there was very litle for local supporters to cheer about. There was, however, one very bright spot: inspired by a man-of-the-match performance from Hibernians débutant Guzi Xuereb and sterling displays from the likes of Magro, Ernest Spiteri-Gonzi, John Holland and Ray Xuereb, Malta ground out a 0:0 draw against West Germany in February 1979 in front of yet another packed house at the Empire Stadium. Off the pitch, plans had been made to build a modern sports stadium at Ta'Qali, in the centre of the island of Malta, by the country's Labour government under the auspices of the then Sports Minister Lorry Sant, and work, partly funded by the Libyan government, began on the stadium in 1980. The stadium was inaugurated on 14/12/80. The MFA did not make immediate use of the stadium due to a dispute between themselves and the Sports Ministry over, amongst other things, the allocation of gate receipts; in the meantime, they continued to use the Empire Stadium until 29/11/81, when Sliema Wanderers and Senglea Athletics met in a Premier League fixture. Since then, the site of the stadium in Gzira has, sadly, fallen into a state of ruin: there was even a mini-forest inside the surrounding walls at one point, but this has been cleared. Now, only the surrounding walls, the shell of the grandstand on the northern side and pockets of terracing remain. The Testaferrata family still own the land upon which the stadium was built, but what is to be done with it, no-one seems to know. With the rise of property prices in Gzira in recent years, the MFA have perhaps missed a trick by themselves not buying the land during the 1980s and putting it to good use. It would have been an ideal location for a small stadium suitable for use by lower-division clubs, and also for an MFA football museum. For now, it stands empty, forlorn and decaying, its doors locked, a testament to the changing times in Maltese football history. It might not yet be too late for the MFA to come to some arrangement with the Testaferrata family with regard to using the site in some way or another. It would be a fitting tribute to the likes of the Cauchi brothers, Tony Nicholl, Salvu Sammut, Pullu Demanuele, Frankie Zammit, the Theobalds, Freddie Mizzi, Freddie Debono, those already mentioned in the article and many more who are not, if life could be breathed into the old Empire Stadium as the site of a new football ground and not as yet another shopping centre or block of exclusive appartments. AUTHOR'S NOTE: Much of the material in the above article was taken from a pair of superlative books written by the esteemed Maltese journalist and author Carmel Baldacchino: "Great Moments in Football" (2008) and "Maltese Footballers - Hundred of the Best" (2004). Other sources of information include the Malta Football Association's Yearbook 2007-2008, the Times of Malta website and personal archives. Many thanks to Louis Micallef from the MFA for permission to use the photograph featured in the article; the other photographs are the author's own, and can be used upon acknowledgement of source. Any errors are the author's own; these shall gladly be corrected upon notification of same.